allows you to connect AKC-3 quick release system adapter that secures camera/photo camera (thanks to M4 threaded holes). 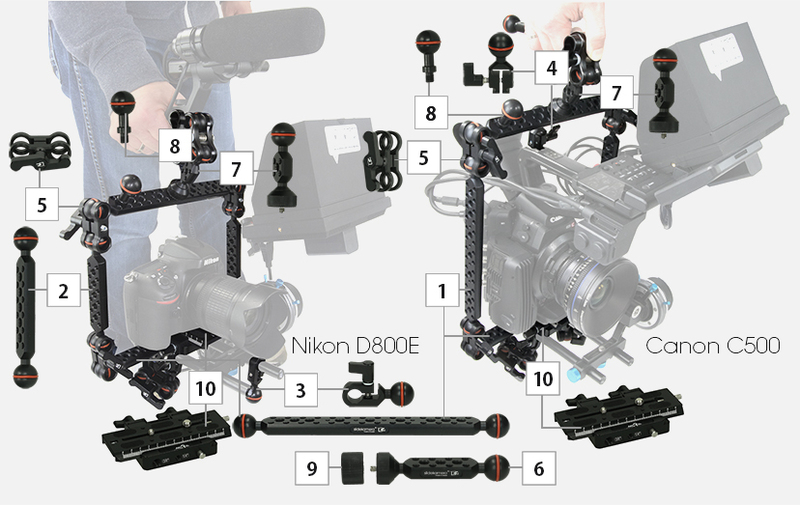 Additionally it can be also applied as arm extention for VARIO ARM - Classic as well as a handgrip or a handle in DSLR set. Its versality allows to come up with various application ideas depending on the user imagination and creativity. It is often used as a lateral arm in case of smaller DSLR cages. VARIO Long extension arm 10,6" is equipped with multiple 1/4” and 3/8” mounting holes. In order to properly connect VARIO Long extension arm 10,6" with other arms or adapters it is necessary to use VARIO Connecting clamp.